Casa de Rio is a 2 bedroom 1 1/2 bath home located about 10 minutes from the beach in a quiet private area. 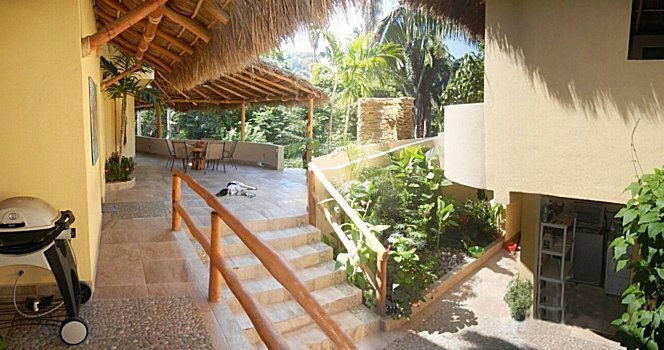 Sweeping open space patio with a plunge pool and water fall overlook a part time river set in the jungle. List price $235,000 usd. This is the patio from the other side. On the right is an open air loft with a laundry room and small garage below. The contents of this site are copyright © 2013, Daniel Hallas. All rights reserved.